For sale we have the following categories: H1 H4 H7 D1S D2S D3S. You can choose between three different types of coloring Why switch to Xenon?. Bulb life: 3000 hours. Safer: it provides you with a wider field of view and spacious also and especially at night! Colour temperature headlights: 8000K (also available 4300k and 5000 k). You can choose between three different types of coloring Why switch to Xenon?. For sale we have the following categories: H1 H4 H7 D1S D2S D3S. Colour temperature headlights: 4300K (5000 k and 6000 k). 4300k 5000 k and 6000 k. You can choose between three different types of coloring Why switch to Xenon?. For sale we have the following categories: H1 H4 H7 D1S D2S D3S. MPN 60672695. Engine code (located at point P5 of the booklet): 841L000. Being the parts used may have slight signs of wear and tear. 64211CBI EN. OSRAM H11 Cool Blue Intense Halogen. The modern design with silver cap (H4/H7/H11/HB4) is ideal for use in clear-glass headlights. That gives your car a stylish look. 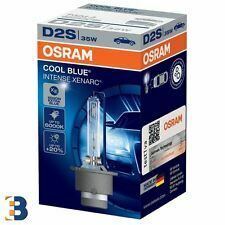 OSRAM H11 Cool Blue Intense Halogen×. 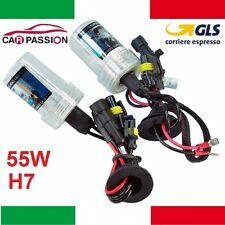 H7 T10 H1 100W Ultra White Xenon Upgrade Headlight Beam Set Main DIP Beam. Technology: Helium. Kit includes:2xH1, 2x H7, 2x 501. 2x H7 bulbs. Wedge bulb type: 501 (W5W). Beam mode: surround lighting. 2x 501 bulbs. Headlight bulb type: H11. Halogen 100w bulbs. Can be installed anywhere that takes the H11 fitting: Headlights (Main or dipped beams), fog lights etc. Beam pattern: Glow. Ideal if you just want a standard halogen glow. Can be installed anywhere that takes the H4 fitting (3 prongs) headlights main or dipped beam, fog lights. Headlight bulb type: H4. H4 xenon white bulbs. 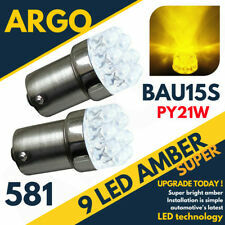 55w & colour temperature 4500k diamond white. H3 white 100w bulbs. Also known as 453 / 483 socket. Headlight bulb type: H3. 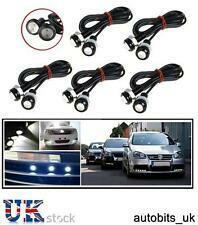 Can be installed anywhere that takes the above fitting: Headlights (Main or dipped beams), fog lights. 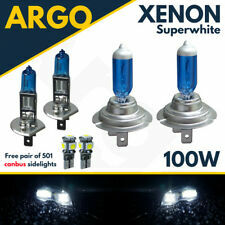 Also included is a FREE set of 501 xenon white bulbs. Technology: Helium. 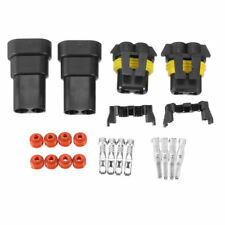 Kit includes:2xH1, 2x H7, 2x 501. 2x H7 bulbs. Wedge bulb type: 501 (W5W). Beam mode: surround lighting. If a short circuit has occurred. Plug and play: remove the existing bulb and put it in place. H7 T10 H1 100W Ultra White Xenon Upgrade Headlight Beam Set Main DIP Beam. Technology: Helium. Kit includes:2xH1, 2x H7, 2x 501. 2x H7 bulbs. Wedge bulb type: 501 (W5W). Beam mode: surround lighting. If a short circuit has occurred. Plug & play, simply remove your existing bulb & put this one in it's place. 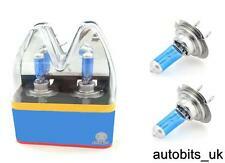 Kit includes: H1, H7, 501. Beam pattern: Surround glow. 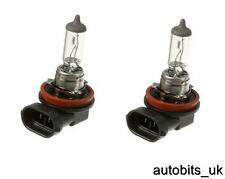 The xenon gas allows the bulbs to run considerably longer than standard halogen bulbs. Canbus error free. Also known as T10, W5W, 194, 168, wedge fitting. Technology: Cree. SMD crystal lens technology. Wedge bulb type: 501. Beam pattern: 180°. Can be installed anywhere that takes the 501 fitting: Sidelight, interior, number plate etc.